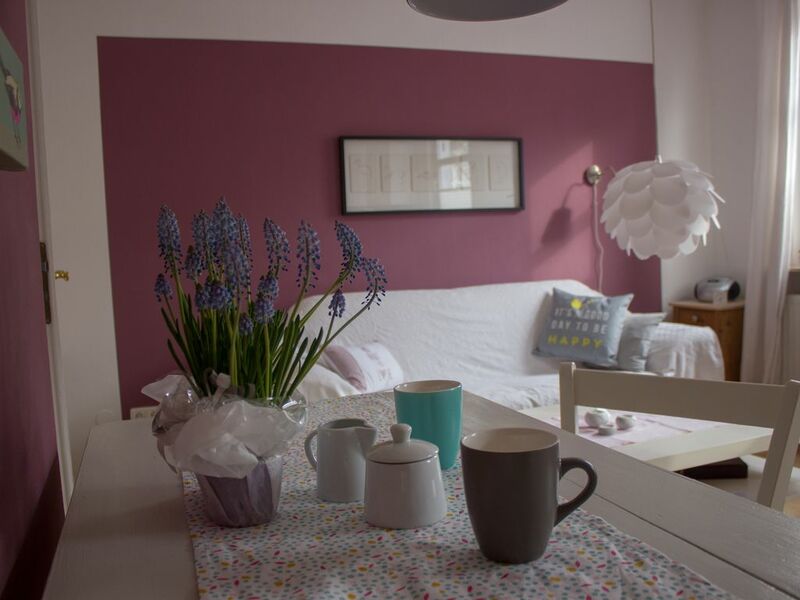 This delightful apartment is located on the ground floor of a townhouse right in the center of Lüneburg in a town house from 1895. This approximately 35 m² apartment has a fully equipped kitchen (with oven, refrigerator, dishwasher), dining area, living area, bedroom and a shower room. We have the townhouse in the years 2017/2018 renovated with great attention to detail and furnished. The apartment is non-smoking. But you can smoke in front of the door in the courtyard passage. Pets are not allowed. We use green electricity and heat carbon-neutral with green gas. The apartment has state-of-the-art nest smoke and carbon monoxide detectors. Wallstraße is located in the city center of Lüneburg. From here, the pedestrian zone, the historic old town, the Theater Lüneburg, the salt museum in the historic Saline and the salt spa SaLü are within walking distance. The nearest supermarket (Edeka) is just around the corner, in the former Saline (5 min walk - there are other food markets at the historic place on the sand (also in 5 minutes to reach)). Every Wednesday and Saturday morning, the popular weekly market takes place on the Lüneburg market place at the town hall. Lüneburg has a lively restaurant and pub scene. This is just around the corner of the apartment: recently opened the popular L'Osteria, many individual, small restaurants are in the recently proclaimed by the local newspaper to the new in-street Racker Street. The Schröderstraße with other restaurants in the pedestrian area is also not far away. Lüneburg is easily accessible via the federal highways 4, 209 and 216 and the A39 from all directions. The Hanseatic city has a long-distance railway station and is located on the IC / ICE route Hamburg-Hanover. The train station can be reached on foot in 10-15 minutes. In Wallstraße many city bus lines stop.